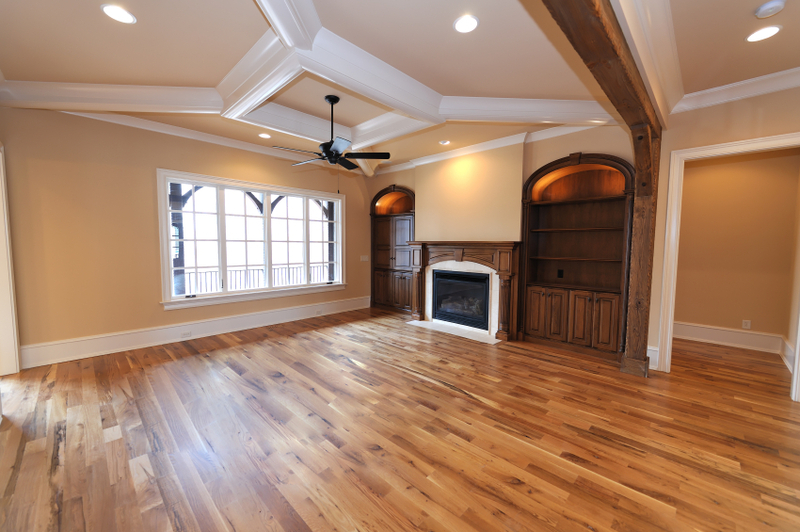 Your hardwood floor is a magnificent feature of your home, but sometimes when it’s on its own, the floor may seem to simply blend into the surroundings of your home. One of the very effective ways to draw attention to your hardwood floor is by complementing it with various accessories in your home. Don’t worry, we’ll show you what we’re talking about. Use plants to complement the natural colors in the wood. It doesn’t matter if the plants are real or artificial, as long as their subtle colors work to highlight the mute green in your hardwood floor. Use colors to give your hardwood floor some warmth and color, especially if your room is very big and empty – a great option for that could be a warm-toned rug. If you don’t do that, your floor space may look very empty. Use lights to brighten up your floor and to show up the colors in the wood. Lights also help to give an extra shine to the floor, when positioned right. Use creative accessories such as art, antiques and furniture, which can add life to a wooden floor. A great idea is to frame pictures, with a wooden frame which is similar in the appearance to your floor. It can bring quite a uniformed look to the room. The aim is to accentuate your hardwood floor with lights, colors, patterns, textures and more. A well-maintained and polished floor, which has been accessorized, can really stand out and represent your home and your sense of style.